Well after months of plotting and planning JUNG COLLECTIVE & DIESLER are proud to present the first in our new 7″ series called BURIED TREASURE. The tracks on the 7″ are DIESLER ft. DOUBLE YELLOW – YOU’RE NOT DEAD & HUGH TURNER QUARTET – BACK TO SCHOOL (GUBZ RUB). 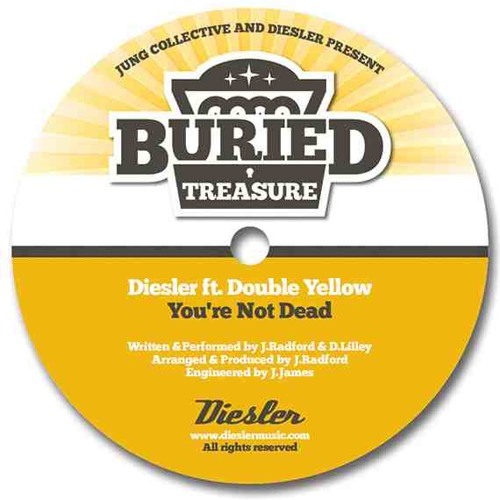 LISTEN & PRE ORDER the release at our BURIED TREASURE BANDCAMP - http://buriedtreasure.bandcamp.com/album/butr1-vinyl-only-7-single **LIMITED EDITION 250 COPIES** – **THIS IS A STRICTLY FIRST COME, FIRST SERVE RELEASE** For any DJs/Blogs/Radio/Magazines please contact diesler@dieslermusic.com for promo & interviews.